Panel pair features a creamcolored floral pattern and include 2 tiebacks. 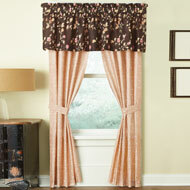 Valance is chocolate brown with rosecolored flowers & tan leaves. Rod pocket tops for easy hanging. Machine wash. Cotton, polyester; imported.  Available as a Valance: (16"W x 84"L), or as a Panel with tiebacks: (42"W x 84"L each).